CBCA’s 2018 Economic Activity Study of Metro Denver Culture reported $77 million in economic activity generated from capital spending. That is an impressive 40% increase between 2015 and 2017. Capital spending is one of the categories of “new money,” which CBCA includes in its calculation of total economic impact. Capital expenditures are used for renovating facilities and venues, as well as building new ones. This is considered “new money” because it is considered outside daily operations. Once completed, these capital projects have a remarkable impact on the organization’s ability to grow its impact, whether that’s through increased audience capacity, expanded programming or new community partnerships. This metric fluctuates greatly year over year as building projects start and conclude. Several major projects were completed around the time of CBCA’s prior study, including the additions to the Longmont Museum, Denver Botanic Gardens and the Children’s Museum of Denver at Marisco Campus. Looking ahead, we anticipate capital expenditures to remain high as the Denver Art Museum undergoes a significant renovation of the North Building and Denver Center for the Performing Arts renovates the Helen Bonfils Theater Complex. The Museum of Boulder is an example of this economic impact demonstrated in CBCA’s 2018 study. The Museum of Boulder provides engaging educational experiences for people to explore the continuing history of the Boulder region. The Museum collects, preserves, and presents Boulder history in order to connect residents and visitors to the past, provide a context for the present, and inspire a vision for the future. The Museum of Boulder serves people of all ages from toddlers through seniors. Through exhibitions and programs, they provide opportunities for residents and visitors to explore the complexity of their history and contemplate the decisions and events that have transpired to bring us to where we are today. In addition, they bring traveling exhibits to Boulder from around the country, as well as international exhibitions. The Museum offers a wide variety of programs from talks, panel discussions and workshops to hands-on activities for regional schoolchildren. The organization was founded in 1944 as the Boulder Historical Society. They have always operated a museum and have been housed in a variety of buildings around Boulder. Since 1986, they have operated out of an 1899 historic mansion on the hill in Boulder. The old house was beautiful, but presented many challenges for a museum and after many years of planning, research, consultants, focus groups and feasibility studies, the Museum’s Board took a giant leap of faith and in 2013, purchased a 16,000 square foot Masonic Lodge building in downtown Boulder and embarked on an $11.3 million capital campaign to create the new Museum of Boulder. Raising that kind of money was not an easy task. They were slow going in the beginning, but gained momentum with some early contributors, a matching grant from the City of Boulder and a $500,000 grant from the National Endowment for the Humanities (NEH.) In 2017, a very generous local philanthropist made a significant contribution of $1.5 million, which enabled the Museum to begin construction on the new building in May 2017. The renovations to the building cost $5 million. This was nearly double what the organization was quoted back in 2013 because of escalating construction costs during that time. The building itself was built by masons and very solid. However, all systems, heating, plumbing, and electrical, had to be replaced and they added a freight sized elevator and two outdoor terraces. 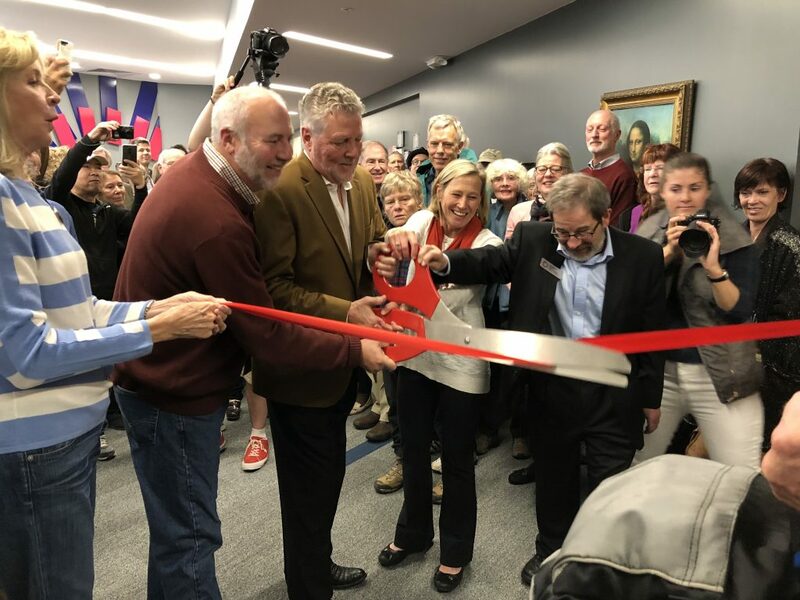 Almost exactly a year after they broke ground on construction, the new Museum of Boulder opened to the public on May 19, 2018. The response from the community has been tremendous. There were 2,500 people at the opening celebration in May and since then more than 12,000 people have come through the doors. They have hosted a large variety of talks, panel discussions, performances and 2,500 students have visited the museum since May. On November 17, 2018, the Boulder Experience will open, which will be the hallmark permanent exhibition in the Museum of Boulder. This $2 million project has been five years in the making. Through interactive technology, animated videos and historic artifacts, this 2,600 square foot gallery will tell the story of Boulder from the early Native American inhabitants, through key moments of cultural, scientific and economic change. The Museum has been very well received by the local business community, particularly in downtown Boulder. Local businesses are recognizing what a great addition the Museum is to the cultural landscape of Boulder and many have provided financial support for their marketing efforts. Businesses are also discovering that the Museum is a great venue for retreats, conferences, meetings and receptions. In addition, the Boulder Convention and Visitor Services has provided two grants to the Museum for marketing support as they recognize that this new museum in downtown Boulder is a huge draw for both residents and tourists. To date, Museum of Boulder has raised $9.3 million of the $11.3 million needed to complete the campaign. Some of that final $2 million is for a children’s museum in the building. 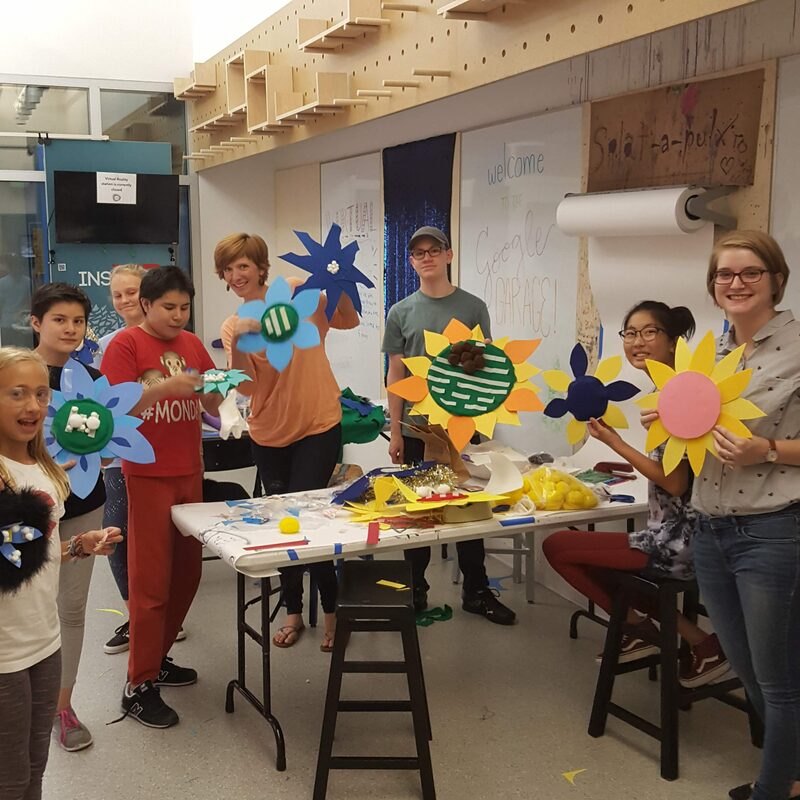 They have been working with the incredibly creative team at the Denver Children’s Museum on a plan for the space and now just need to raise the money to complete this last component. With a successful campaign, they hope to open the Children’s Discovery Zone in late 2019 or early 2020. Capital spending is an important metric that CBCA tracks in its biennial Economic Activity Study of Metro Denver Culture. These new facilities, renovation and expansion projects not only infuse dollars into our regional economy, but provide increased opportunities for economic activity through growth in operations and audience capacity.